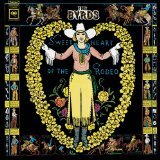 Sweetheart Of The Rodeo is ranked 2nd best out of 22 albums by The Byrds on BestEverAlbums.com. The best album by The Byrds is The Notorious Byrd Brothers which is ranked number 756 in the list of all-time albums with a total rank score of 3,341. Members who like this album also like: Abbey Road by The Beatles, The Beatles (The White Album) by The Beatles and Revolver by The Beatles. Related links: top tracks by The Byrdstop tracks of the 1960s, top tracks of 1968. Showing latest 5 ratings for this album. | Show all 323 ratings for this album. Related links: top albums of the 1960s, top albums of 1968. Solid country rock album. Was the first evidently, which makes this impressive! Un disco dei Byrds che mi piace perché non assomiglia ad un disco dei Byrds. With the recruitment of Gram Parsons the Byrds go the whole country hog. There's no irony here, it is done with the utmost sincerity, and is also a lot of fun. Roger Mcguinn takes most of the lead vocals as a lot of Parsons' singing was erased just before release. As for the music itself, even though the Byrds are now rootin' tootin' cowboys, there's still room for a couple of the obligatory Bob Dylan covers in, you ain't goin' nowhere, and, nothing was delivered. The highlights include, the Christian life, one hundred years from now, and Parsons' timeless, hickory wind. After the departure of Parsons just before a tour of South Africa, The Byrds would dispense with the country music(although there still would be the odd country number on future albums), but the importance of this LP cannot be understated. Country rock is born. above some of the country you hear today. This music will stand the test of time, and be forever outstanding. The Byrds try to sing country, and, it turns out, they aren't very good at it. Only "Nothing was Delivered" sounds like the Byrds and "You're Still On My Mind" was the only other enjoyable song on it. It's all right. I mean, not being a big fan of country (at least Western country, anyway), it's not really enjoyable. But I liked the fusion they create here with the addition of Parsons, I prefer earlier Byrds however.